American candy lovers know the Kit Kat bar. But few would recognize the varieties sold in Japan. 200 kinds of Kit Kat bars have been sold in Japan over the years. Akiko Fujita checked out the candy in Tokyo. A custody battle between a Tennessee man and his Japanese ex-wife is highlighting legal differences between the two countries. Japan doesn't recognize international custody. Reporter Akiko Fujita has the story. Japan has a new prime minister today. Akiko Fujita reports that the new prime minister's wife is likely to change the traditional role of Japanese first lady. Akiko Fujita reports that students at the University of Nagasaki are attempting to create a 3D digital image of the Japanese city BEFORE a US atomic bomb destroyed it during World War II. Inspired by the grassroots Obama campaign, a Japanese student tried to start an online group to mobilize young Japanese voters. But he discovered that his online effort violates the country's 50-year-old election law. Akiko Fujita reports. Correspondent Akiko Fujita reports on good news for Toyota in Japan. The new Prius is in high demand, and Prius factories there are humming again. In Japan, many singles are taking no chances when it comes to getting married. They're going to "marriage hunting" events, a mix between speed dating and a job interview. Even the government is getting involved. Akiko Fujita reports from Tokyo. Japan tells guest workers: don't come back! The economic downturn is prompting some Japanese professionals to take a look at another field - farming. They've been taking a crash course run by some farmers hoping to bring new blood to Japan's ailing farming industry. 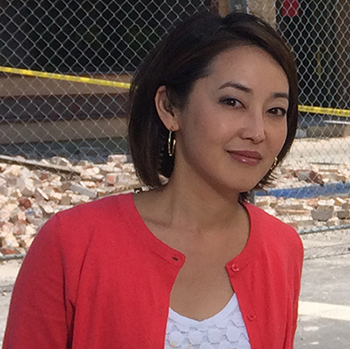 Correspondent Akiko Fujita reports.